Show your support for the Empire with these Star Wars Stormtrooper Glow in the Dark Cufflinks. 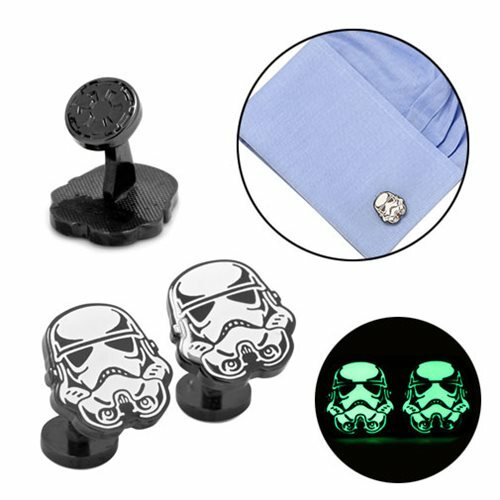 Featuring the backbone of the Empire's military strength, a Stormtrooper, these glow in the dark cufflinks will impress your friends as well as observing Star Wars fans. They measure approximately 3/4-inches tall x 5/8-inches wide and are made with plated base metal and glow-in-the-dark enamel. It comes with a fixed backing displaying the logo of the Galactic Empire.